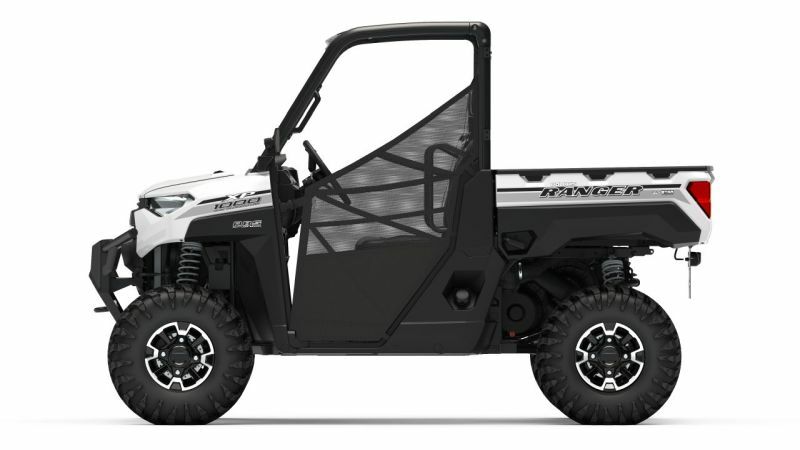 The most refined utility side-by-side ever built, the Polaris RANGER XP 1000 EPS, raises the bar once again with the addition of an ABS version. Making its debut in dealerships in early 2019, the introduction of the RANGER ABS will see the ultimate utility workhorse become even more dependable. Rodrigo Lourenco, Vice President and General Manager of Polaris Off-Road Vehicles EMEA, said: “We’re extremely proud of yet another addition to the Ranger family. The RANGER XP 1000 EPS is our most versatile product on the market and has proven to be a huge success across the globe – we want to continue that momentum into 2019 with the new ABS model. Redefining the standards for a utility side-by-side, the RANGER XP 1000 produces class-leading power (82hp) thanks to the ProStar 1000 Twin Cylinder engine, as well a 61lb-ft of torque and boasts impressive towing capabilities of over 1100kg. Offering 13 inches of ground clearance, more precise steering with a tighter turning radius, and large front bumper and full body skid plate that provides 45% more protection.